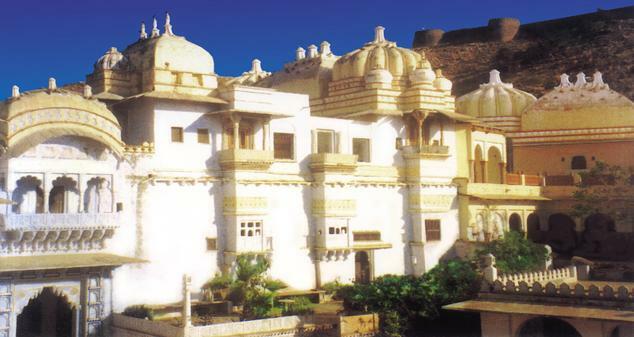 A living testimony of the glorious history of the Chundawat Clan, Bassi Fort Palace is the finest hotel of Chittorgarh. 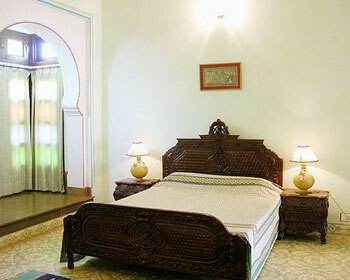 The palace was built in the 16th century and preserves the same grandeur, charm and decor of the glorious era. A number of tourist attractions lie in close proximity to the Bassi Fort Palace such as Bassi Wildlife Sanctuary, the Bassi Dam, the Hunting Lodge, Orai Dam, the Bassi Village and Craftsmen and more. All the 15 well-appointed rooms and suites are painstakingly designed reviving the old charm and aura. 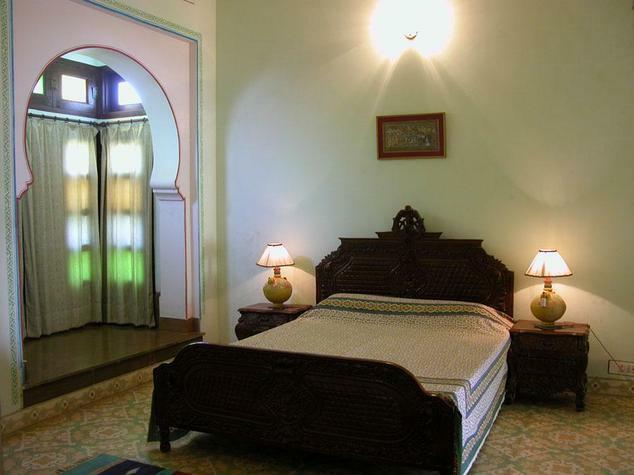 These spacious rooms and suites have attached bathroom with hot and cold running water, period furniture, Jharokhas, sitting rooms and dressing rooms. Visitors at the Palace can also seek blessings of the rare and sacred Kalp Vraksha which is said to fulfil the desired wish. Guests can indulge in traditional Indian food at the in-house restaurant or can sip their favourite drink at the on-site bar. 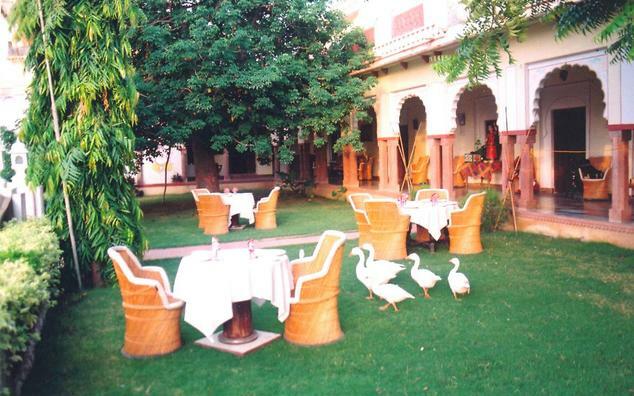 The hotel organizes many outdoor activities such as horse safaris on prior notice, royal welcome, village ramble, jeep safaris, traditional royal marriages, visit to wild life sanctuaries, New Year’s Eve special programmes, visit to tribal areas, and gala dinner with cultural show, boating, trekking and folk dances. 24-hour room service, car parking, laundry service, poolside bar, airport transfer, travel desk, safety deposit boxes, family room, car rental, smoking area, doctor-on-call, tours, garden, outdoor pool and coffee shop. All the Deluxe Suites relives the grand history of the 16th Century by featuring period furniture and contemporary paintings. Each Deluxe Suite exhibit separate sitting area, dressing room and attached bathroom with 24-hour cold and hot water supply. Some of the amenities offered within the suites include 24-hour room service, ironing service, laundry service, doctor-on-call, 24-hour in-room dining, tea/coffee making facility, hair dryer, in-room safe, complimentary toiletries, refrigerator, high-speed internet connection, complimentary bottled water, flat screen TV and room air-conditioning. 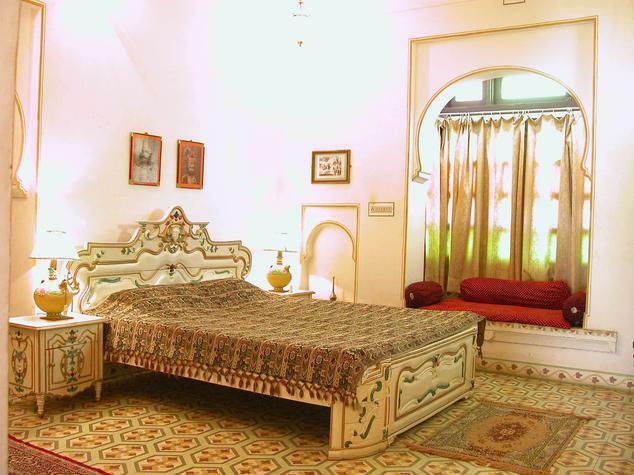 All the Royal Suites are tastefully designed exhibiting the old and rich history of the 16th Century. The suites feature contemporary paintings, period furniture, and attached bathroom with 24-hour hot and cold water supply, separate sitting area and dressing room. Guests during their stay can enjoy an array of facilities such as high-speed internet connection, hair dryer, refrigerator, 24-hour room service, tea/coffee making facility, complimentary bottled water, 24-hour in-room dining, in-room safe, ironing service, room air-conditioning, complimentary toiletries, doctor-on-call, flat screen TV and laundry service. The standard rooms at this property offer a comfortable stay to the guests where they can have a pleasant stay amidst all the world-class facilities and comfort. Enjoy the impeccable royal hospitality services of the staff and feel like a king and a queen. The interiors are absolutely regal. the list of facilities include well-appointed plush attached bathroom, high-speed Wi-fi connection, LCD TV, air-conditioner, a private balcony, round the clock room service, medical assistance, telephone and more. 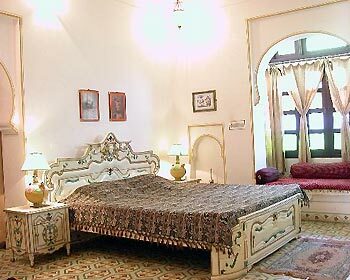 Bassi Fort Palace Bassi has 16 well decorated rooms with all the basic amenities. 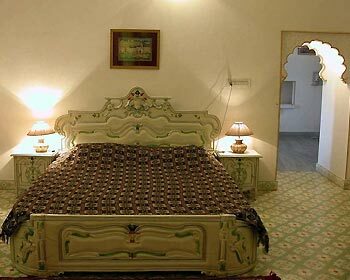 All the suits and rooms are spacious with Jharokhas attached and continuously flowing hot and cold water. 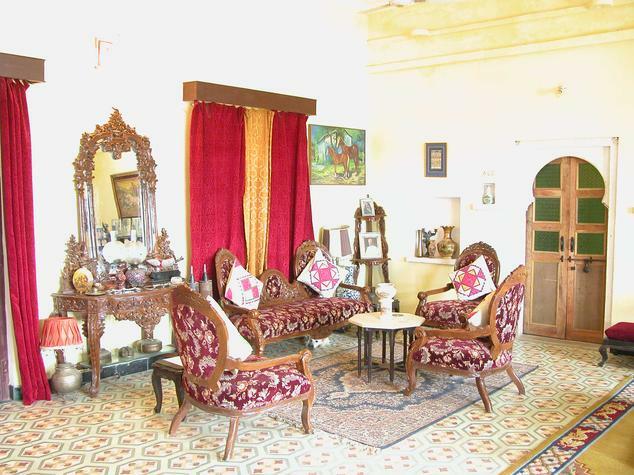 Dressing rooms and attractively appointed sitting rooms areas are present with the period furniture. Guests can relish some of the most exotic dishes from different cuisines such as South Indian, Continental, Indian and Chinese cuisines. All the dishes are prepared under the guidance of expert chefs. 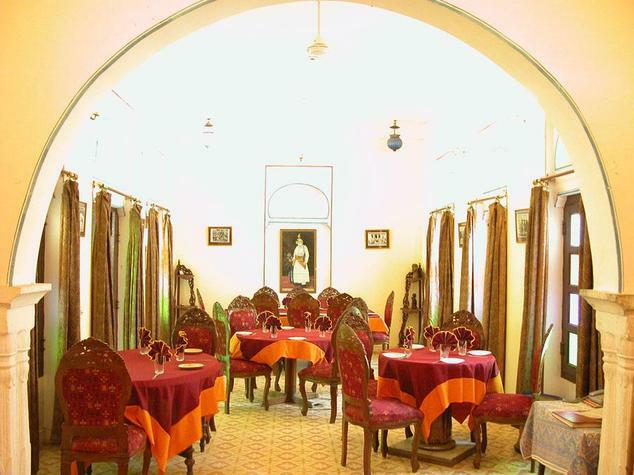 The chic ambience and delicious food of the restaurant makes it the perfect dine option for everyone. The restaurant serves breakfast, lunch and dinner. The exclusive bar at the Bassi Fort Palace is ideal for enjoying and sharing best moments over a sip of your favourite drink. The bar serves an array of mocktails and cocktails to choose from. The foot tapping music and vibrating ambience of the bar will spice up your evenings.